Tiger Woods would never say such a thing out loud, within earshot of others. However, I am going to say what would remain unspoken by the greatest golfer of this generation: Tiger Woods is bigger than the game. 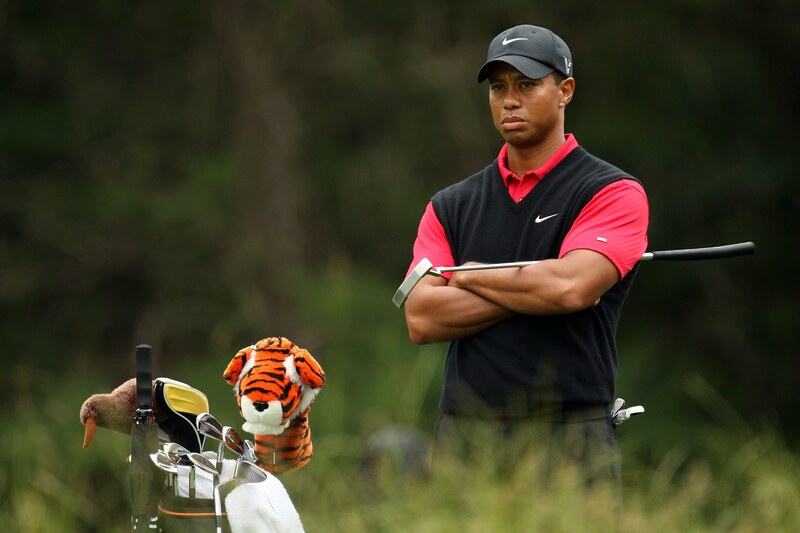 Woods had gone 11 years without winning a major tournament, and 15 years since winning the Masters. Hmm. I’ll offer this note, and then move on to the topic at hand: Muhammad Ali’s return as heavyweight boxing champion in 1974 after being stripped of his title and exiled from the sport for more than three years ranks as the No. 1 sports comeback — in my mind. But yes, Tiger’s comeback was one for the ages. He is bigger than the game. I admit to watching the Masters with exponentially greater interest when he entered the weekend rounds in hunt for his fifth Masters green jacket. I love watching the Masters anyway, but with Tiger lurking near the top of the leader board, my interest turned into an obsession. I wasn’t alone. Others around the world who aren’t even necessarily golf fans took time to watch Tiger Woods pounce when Francesco Molinari doused his 12th-hole tee shot, paving the way for a double-bogey on the hole. Woods’ endorsement income from Nike is going to fly into the stratosphere. 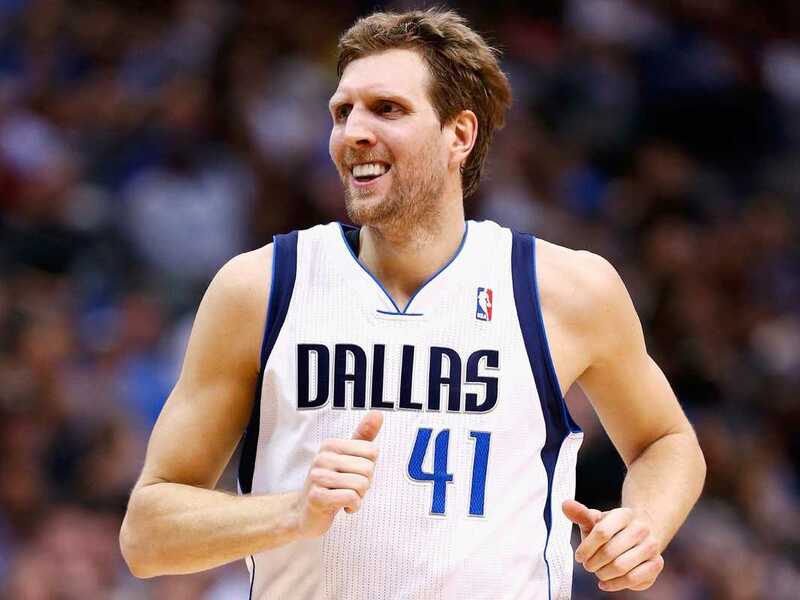 There might be other corporate sponsors that will sign the 43-year-old up as well. Think of it. Woods’ career started tanking when his wife, Elin, caught him messing around with other women. Then he got caught driving while impaired. Injuries later would damn near take him out for keeps. He couldn’t play the game he dominated since his arrival on the pro tour in 1996. He fought back. Now he’s back on the top of his game. On top of the world. On top of the heap. Tiger Woods wouldn’t dare say what many of us believe, that he is bigger than the game. He is. There. I’ve said it. I have repurposed this picture from my social media network and I now intend to use it to illustrate a point I think needs making. 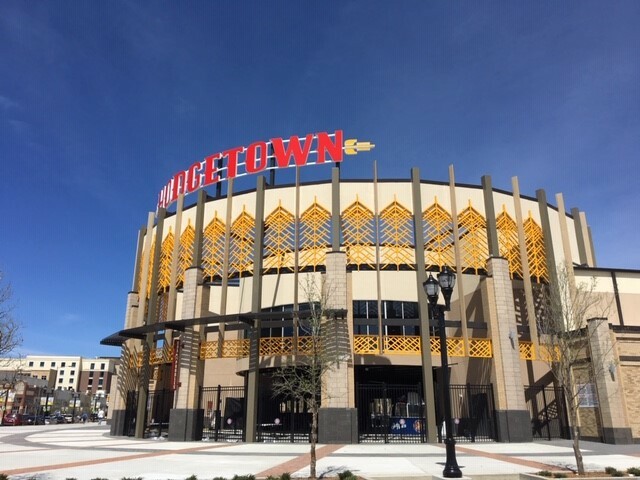 Amarillo’s Sod Poodles, the minor-league baseball team that has opened to big crowds at Hodgetown, appear ready to lead the city where my wife and I used to live toward a new and bright future. We have no regrets about moving away, but I damn sure wish at times I could be there to cheer the “Soddies” on. I am hearing about a smattering of gripes from those who think the fireworks at the games are too loud. Residents are bitching about the money spent to build the ballpark and to inject new life into the downtown district. The gripes are to be expected, I suppose. No project, regardless of its value, is deemed as picture-perfect to everyone affected directly or indirectly by it. Sure, I live some distance away. Thus, I won’t likely hear these gripes in person; I’ll merely read about them on social media. I intend to remind those along my own social media network that the gripes are misplaced and likely misinformed. The ballpark cost a good bit of dough: $45 million. The city spent more to condemn the Coca-Cola distribution center and relocate it to a business park near Rick Husband-Amarillo International Airport. There have been tax incentives and abatements given to businesses that have sprung up along Polk Street. I am baffled, though, at the complaints that the city’s effort to spruce up its downtown district is misdirected. I’ve said it before, but it bears repeating: Every flourishing city in America has at least one thing in common — a vibrant downtown business-and-entertainment district. I am unable to predict whether Amarillo, Texas, will join the ranks of prosperous American cities. It remains my strong sense, though, that the city is on the way toward that future. The Amarillo Sod Poodles’ presence in that shiny new sports venue can lead the way. Golf isn’t supposed to evoke these kinds of emotions. Today, though, it did. Tiger Woods — considered by many to the “greatest of all time” — won his fifth Masters tournament. I don’t usually get wrapped up emotionally in golf tournaments. Except when Tiger Woods is involved. I’ll stipulate that Tiger is not the first pro golfer to get me this juiced up. The first one was the late Arnold Palmer, aka “The King.” Arnie was the swashbuckler, a man’s man. He exuded charisma and machismo. He also could hit the hell out of a golf ball. Palmer four won four of those green jackets. The all-timer, of course, is Jack Nicklaus, with six of them. Nicklaus also has those 18 major championships in his ledger, which for my money makes him the GOAT. Today, though, was Tiger’s day. I’ve been pulling for him to make this kind of comeback. He teetered on the edge of golf oblivion. There was that nasty philandering scandal that ruined his marriage to the former Miss Sweden beauty queen. Then came the injuries. The surgeries. The comebacks from the surgeries. The relapses. Tiger Woods might be a dirt bag of a husband. He is a devoted father and a loving son to his mother Kultida. He’s also one hell of a great golfer. 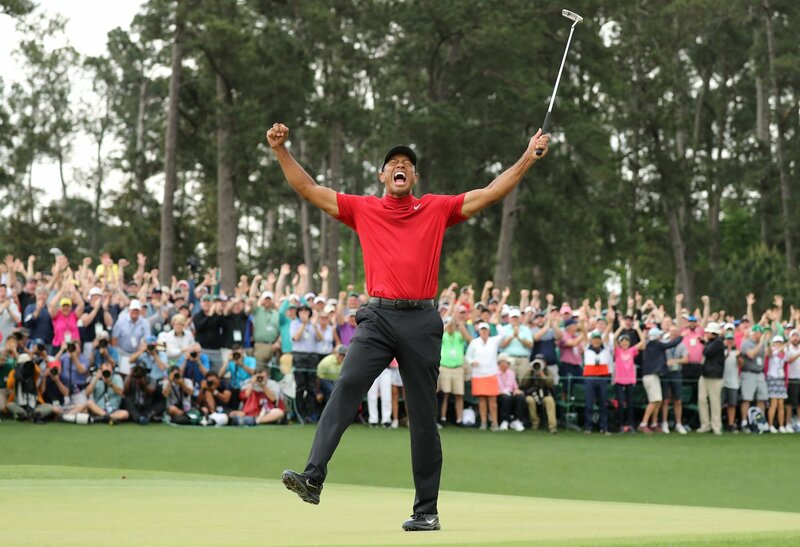 Tiger Woods was able to bring a tear to my eye as I watched him win today’s Masters. I happen to believe that The King is looking down from on high and is pulling for him to keep winning. A coalition of Amarillo Independent School District constituents is getting fired up. They want answers. The Parents for Transparency Coalition isn’t getting them. So, what is the course the coalition must travel? Beats me, although I certainly to respect the group’s demand for answers to a couple of questions that are continuing to roil the AISD community. The school board is meeting Monday night at the Rod Schroder Education Support Center. 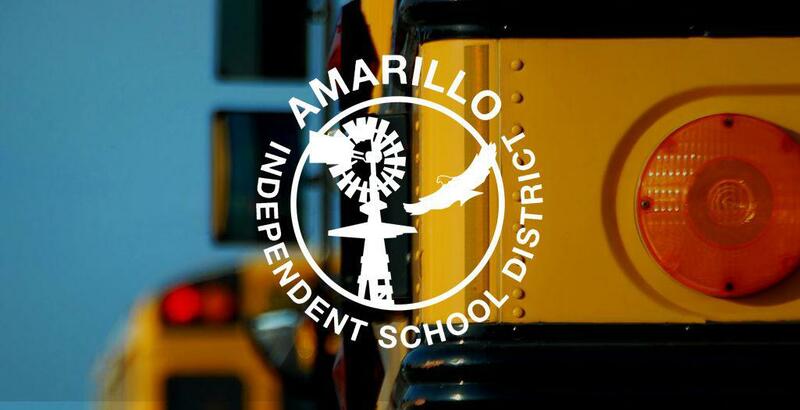 The transparency coalition wants the school board to open an “independent investigation” into the resignation of Kori Clements, the former Amarillo High School girls volleyball coach. This resignation has roiled the AISD community. Clements quit a vaunted high school athletic program after a single season. She cited interference into her coaching duties from a parent and the lack of board and administrative support as her reasons for quitting. The coalition has been advised that the school board will not take up the matter at its Monday meeting. The Parents for Transparency want answers. They deserve them. They want to know if the allegation that the offending parent is a school trustee is true. They want to know why the board failed to back Clements’s complaint about the parental interference. They want the school board to explain itself. They are demanding that the school administration — now led by newly named Superintendent Doug Loomis — do the same thing. Is that an unreasonable request? It is not. However, asking the school board to hand this matter to an independent investigative team is like asking members of Congress to enact a constitutional amendment to limit the number of terms they can serve on Capitol Hill. It’s not going to happen. Still, I stand with the Parents for Transparency as they seek answers to questions that continue to gnaw at the guts of the public school system. Well, those of us with West Texas connections, if not roots, had wanted this game to end differently. It didn’t end the way we wanted. Texas Tech’s Red Raiders came up just this much short against the Virginia Cavaliers. The teams went into overtime in the NCAA men’s basketball championship game. I’ve noted already that I did not attend Texas Tech. I worked and lived in West Texas long enough — 23 years — to know how devoted Red Raiders’ fans are. They love their football. They love their basketball, men’s and women’s alike. So, the season is over. They’re cheering in Charlottesville. I hope they don’t riot, tear the place up, light fires and act stupidly. Hey, it’s the place that Thomas Jefferson called home and founded the University of Virginia. They aren’t cheering in Lubbock tonight. Here’s the deal. The sun will rise in the morning. The wind might even blow. Texas Tech took it all the way to the end, and then some, into overtime. Great season, Red Raiders. If this non-Tech dude is allowed to say it, I’ll offer only this: Guns up! Hey, we won! Let’s destroy some property! I am trying to grasp what went through the mind of the dipsh** who said Saturday night: Hey, we won that basketball game tonight, so let’s go tip some cars over and light them on fire! Texas Tech’s Red Raiders won a game Saturday to put them into tonight’s NCAA men’s college basketball championship contest against Virginia. I don’t know if Tech is going to win. I hope the Red Raiders do. I also hope Lubbock can keep its sanity to avoid a repeat of what happened Saturday night. Lubbock police had to deploy its riot squad to put down the disturbance. If the Red Raiders win tonight, let’s keep our cool. Hoist an adult beverage if you’re so inclined. Same for those of you in Charlottesville, Va., if the Cavaliers manage to win. No need — not ever! — to destroy people’s property. AMARILLO, Texas — They used to refer to the place pictured here as the “multipurpose event venue,” aka . . . the MPEV. It’s now gotta name. And in a little more than a day from now some guy in an umpire uniform is going to stand behind home plate and shout “Play ball!” to two minor-league baseball teams. 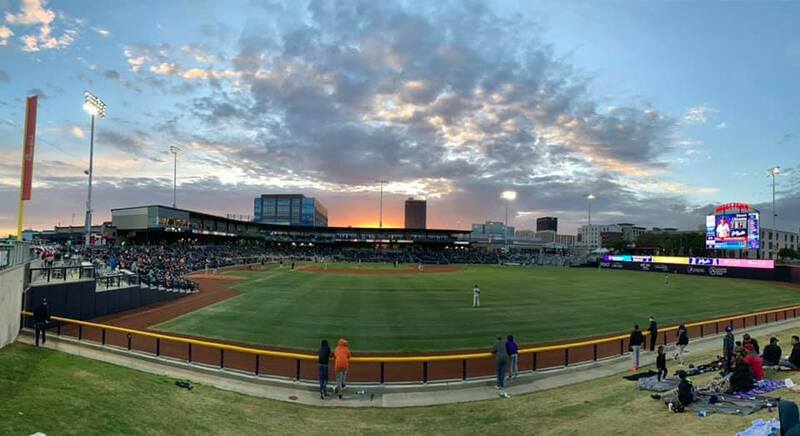 One of them will be the Amarillo Sod Poodles, who will open their home season in their shiny new ballpark in downtown Amarillo, just across the street from City Hall and a couple of blocks from a newly bustling Polk Street corridor. I snapped this picture Sunday afternoon while running an errand. My wife and I came back to Amarillo for the weekend. We have to shove off Monday morning for points downstate. I truly wish I could be parked in the stands to watch the Sod Poodles play hardball. This is a big event for this city of 200,000 residents. It marks a huge turn around a lengthy and occasionally contentious corner toward a future that isn’t yet defined fully. I sense that it is going to be a bright one. The Sod Poodles are affiliated with the National League San Diego Padres. They will play AA baseball, which is two steps below the Big League. The players will boast significant talent and will provide a season full of entertainment for baseball-starved fans of Amarillo and the Texas Panhandle. Oh, but there’s minor hurdle to clear Monday night when the ump gets the game started at Hodgetown. It involves an NCAA men’s basketball tournament game that is occurring in Minneapolis at the same time. One team is the University of Virginia; the other is Texas Tech University. You see, Amarillo sits just a bit north of Lubbock, where Texas Tech plays its home games. On Monday night, the Red Raiders are playing for their first-ever men’s college basketball championship. I fear that some Sod Poodles ticket holders might want to sit out the home opener to watch the Red Raiders try to make men’s basketball history. Talk about an embarrassment in riches. Well, to those Tech faithful who have a decision to make . . . good luck. It’s your call. I’ll be cheering for Tech’s Red Raiders to bring home the trophy. I also will be cheering for the Sod Poodles to wow ’em at home and bring back the first of many victories in this maiden season. Amarillo is only 120 miles or so north of Lubbock in West Texas. Both cities are full of happy basketball fans tonight. Indeed, as my wife and I are parked in our RV in far west Amarillo, I am wondering if I can hear the shouts from sports bars all over the city. Indeed, I might have to dial in my ears to hear the shouts from down yonder in Lubbock, where Texas Tech University sits. The Red Raiders have earned a shot at the men’s college basketball title by defeating Michigan State University tonight. Now they’ll go after the NCAA men’s title Monday night against the University of Virginia. I watched every minute of the game. I am not a Tech grad. I don’t even follow college basketball all that closely. But both my wife and I have many Tech grad-friends we met during our many years in Amarillo. I am happy for them all. However, you can count me as one happy former West Texan who will cheer loudly for the Red Raiders to bring home the hardware. I have been known to speak disparagingly about naming structures after living humans, fearing that the person being honored might do something down the road that would embarrass himself or herself — and the community that honored them. However, I also have been known to make exceptions, holding to the belief that the individuals honored would never do such a thing. The picture attached to this blog post illustrates one of the exceptions I have made. 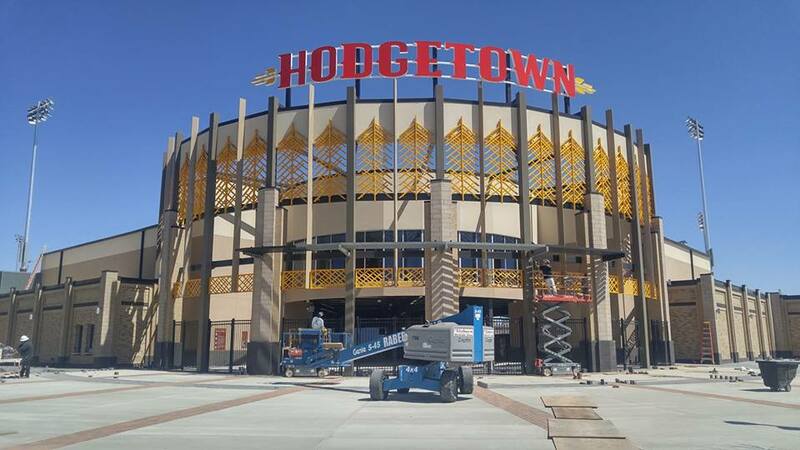 Hodgetown is where the Amarillo Sod Poodles are going to begin playing AA minor-league baseball in a few days. It also is going to be a venue for other community events in downtown Amarillo. Its name honors a former city mayor and a business tycoon who has devoted much of his adult life to improving the community he has called home. Jerry Hodge is the honoree. I should note that he is so willing to share the spotlight with his wife, Margaret, who also is a force of nature in her own right. I’ve known Jerry and Margaret Hodge for many years; I know Jerry Hodge better than I know Margaret. I’ve known Jerry Hodge as a hard-driving pharmaceutical company mogul who built Maxor into a worldwide concern. He had left the mayor’s office by the time I had taken up my post in early 1995 as editorial page editor of the Amarillo Globe-News, but he never really has stepped completely out of public view. He has been an outspoken advocate for the city and for the Panhandle. He and Margaret used their influence and their financial resources to lure the Amarillo Sod Poodles from their former home in San Antonio to the High Plains. They also have been big hitters in bringing the Texas Tech Pharmacy School to Amarillo — which, given the Hodges’ ties to Maxor was a no-brainer. Most recently they donated $10 million to Tech toward its planned construction of the school of veterinary medicine in Amarillo. So, you see, my aversion to naming structures after living human beings isn’t ironclad and all-inclusive. The Hodges have given much back to the community that has enriched them. It is only fitting that the ballpark formerly known only as the “multipurpose event venue” would carry their name over the main entrance. I am proud to know them.